Which are the Best Safari Binoculars to take on an African Safari? 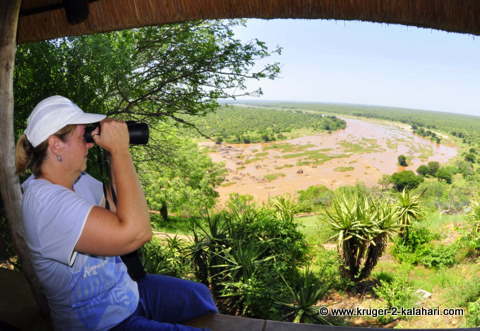 A decent pair of safari binoculars is a must for finding and watching wildlife while on safari. You can obviously watch wildlife without safari binoculars but sometimes the bird is so small, the bush so thick or the animal too far away that you need the benefit of magnification. Most binoculars are center-focus where you turn a dial in the center to focus both eyes at once. Normally the right-hand eyepiece is also individually focusable (the diopter) so you can correct for differences between your eyes. For an in-depth look at Roof vs Porro prism binoculars check out this comprehensive guide. Every binocular has a two-number designation, such as 10×50. The first number is the magnification. The second is the diameter of the objective (front) lenses in millimeters - in photography terms, the aperture of each lens. The bigger the objective lenses, the brighter your view. 1. Magnification: You want to be able to identify an animal or bird that may be far away or hidden in a tree so you need a decent magnification. 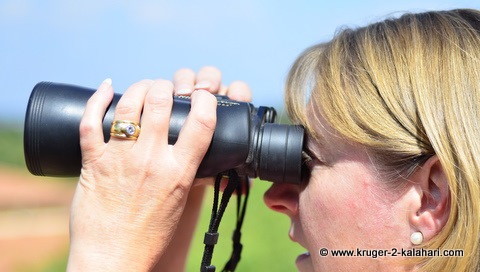 We recommend a 10X binocular - certainly not less than 8x and not more than 12x magnification. 2. Field of View: This is the horizontal width of the image you can see whilst looking through the binoculars at a certain distance. Field of view is normally expressed in degrees or as a certain number of meters at 1,000 meters. A 10X50 binocular has a field of view of 6.5°. High-power models (12x, 22x etc.) will shrink this number while wide-angle models will increase it to between 8° and 10°. 3. The Exit Pupil: is the image size formed by the eyepiece lenses. This is basically the amount of light that enters the objective lens and then exits the smaller ocular lens into your eyes. The diameter of the exit pupil (in mm) is the effective aperture divided by the magnification. The diameter of the human eye pupil varies from 2-3mm in daylight to up to 7mm in the dark. An exit pupil of 7mm gives maximum light to the dilated eye and is ideal for use in the twilight and at night. In the above picture the binoculars are 8x22 with an exit pupil of 2.5mm, providing a relative brightness of 6.3 (2.5 x 2.5). In the picture below the safari binoculars are 10x50 with an exit pupil of 5mm, providing a relative brightness of 25 (5 x 5). The magnification of the two binoculars is very close - 8x versus 10x but the difference in brightness is huge. 4. Brightness: The relative brightness value is obtained by squaring the diameter of the exit pupil. The greater the relative brightness, the brighter the image will be. However, this value does not correspond exactly to increases in brightness viewed with the naked eye because light coming through the binoculars is 100% effective only if the exit pupil is the same diameter as the pupil of the eye. 5. Ease of Handling: Here you need to compromise. Small, compact binoculars will not provide much magnification so why even bring them with you? High magnification binoculars can be heavy and expensive hence our recommendation to settle on something in-between that you feel comfortable carrying and holding. Our 10x50 weighs 900 grams while some 12x and 18x binoculars can weigh over 2 kilograms! Most of your game viewing will most probably occur during the day in bright light, but if you intend going out early in the morning before sunrise or going on sunset drives when animals are most active then you will need a bright binocular. 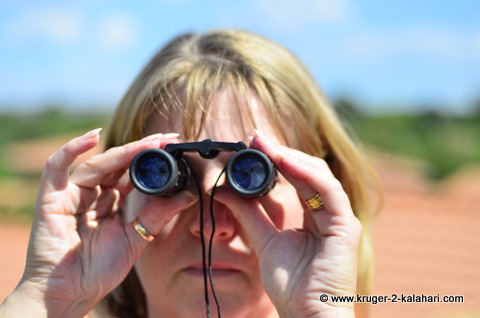 If you watch game at night from your camp, like we do in the Kruger, Kgalagadi and Etosha, or if you like watching astronomical objects such as the moon or stars then you will also need bright safari binoculars such as a 10X50. Most astronomical objects are difficult to see not because they are small and need more magnification, but because they are faint and need more aperture. A 7X50 Binocular (an aperture of 50mm) gathers twice as much light through each lens as a 7X35 (an aperture of 35mm) binocular does. The same principle holds true in photography - a 50mm lens with an aperture of f1.4 will let in double the amount of light than a 50mm f2.8 lens. Also, lenses of high magnification such as a 500mm f4 lens will have a very large objective to let lots of light in, while the 500mm f8 mirror lens will be much smaller and will have a small objective as the aperture is only f8 and it therefore doesn't need the light-gathering ability of the f4 lens. •	Waterproofing - if you intend going on bush walks in summer (rain!) and crossing rivers you may want to ensure your binocular is waterproof. 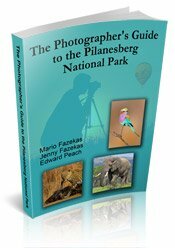 •	Zoom binoculars generally do not have the same optical quality as fixed magnification binoculars - the same principle is found in photography where prime lenses such a 300mm f2.8 or f4 will produce a sharper image than a 70-300mm f/4.5-5.6 zoom lens. •	Rubber eyecups are useful, especially for night viewing where bungalow lights or spotlights could affect your viewing. Just make sure that the eyecups fold down if you need to wear glasses! •	Canon and Nikon both make Image Stabilisation / Vibration Reduction binoculars but we found these to be heavy and uncomfortable to use not to mention expensive! 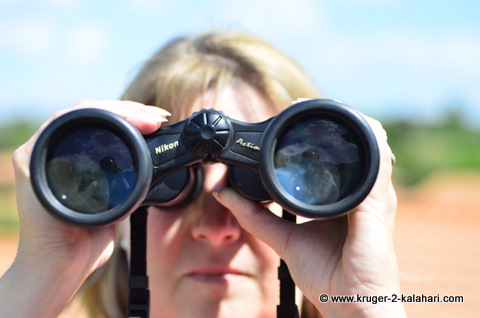 •	Safari binoculars work best if you can hold them steady - if you are in a vehicle stop the vehicle and rest your elbows on the door frame when scanning. If you are sitting at your bungalow sit in a chair with arm-rests and rest your elbows on these. 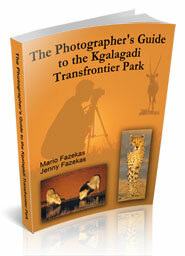 You can also buy tripod mounts that hold your safari binoculars. If you have a Manfrotto super-clamp these also work to hold binoculars on your tripod or anything else you can clamp it to! Each of your eyes sees with slightly different clarity levels so your binoculars must be calibrated to accommodate this difference. There are two types of safari binoculars - individual focus where you focus each eyepiece independent of each other and the more common Center Focus style. The center focus has a wheel in between the two eyepieces and by turning the wheel changes the focus. It seems simple enough but many people forget the most important step - the diopter adjustment. 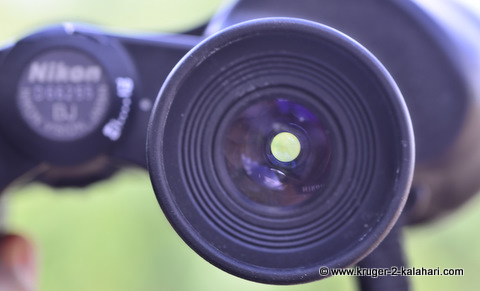 Depending on the safari binoculars, this adjustment can be on the left or right eyepiece but usually the right (except Swarovski where the dipotre is also in the centre with the focus wheel). You will see the following symbols (+ … O … -) on the eyepiece and it will be able to turn from - to +. Start by pointing them at a distant object. Look through the binoculars and close your right eye. While looking through only your left eye, focus the binoculars centre focus wheel so your left eye is in focus. Next, close your left eye and view through the binocular with only your right eye. 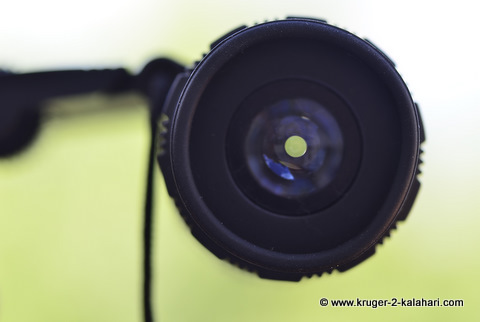 Now without turning the focus wheel - turn the diopter adjustment on the right eyepiece until your right eye is in focus. Now you have properly set your binoculars for your eyes! Now all you do is simply focus your binoculars with the focus wheel and leave the diopter setting alone. The problem is that you may bump the diopter so you could put some tape over it so that it doesn't move. Jenny and I have different vision clarities hence we each have our own pair of binoculars otherwise we have to keep changing the diopter setting! With the Individual Focus binoculars you will need to refocus both eyepieces each time you look at something at a different distance. This is why most binoculars are of the Center Focus design, allowing you to quickly and easily change focus when the subject distances change frequently. The best safari binoculars tend to be ones of moderate criteria such as the 10X50. 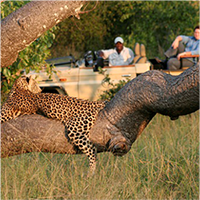 The extreme sizes and magnifications are not ideal for safaris. You also need to keep the age of the user in mind - for example you may want the brightest binocular for low-light viewing so your choice may be between a 10x50 binocular that has an exit pupil of 5mm and a 7x50 binocular that has an exit pupil of 7.1mm, and you therefore may be tempted to go for the 7x50 as it has the largest exit pupil and will have the brightest image. What you need to take into account, however, is that as our eyes adapt to darkness - our pupils dilate to let in more light. Most young people (under 30 years old) who observe under a dark sky will have pupils that dilate to about 7mm. They can take full advantage of binoculars (such as the 7x50) that produce an exit pupil of 7mm. By the time you're over 40 your pupils probably won't dilate beyond 5mm. If you use binoculars with an exit pupil wider than your pupil size, some of the incoming light won't get into your eyes and images will appear dimmer. Hence we still recommend the 10x50 as the best all round binocular for birds, animals and night sky viewing. 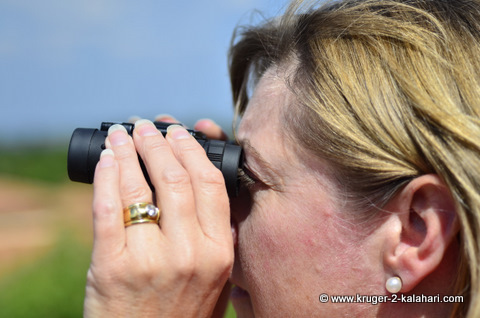 However, there is an advantage to a larger exit pupil - if you are using the binoculars in a moving safari vehicle the large exit pupil is easier to keep centered on your eye and this is a benefit when it is difficult to hold your binocular steady. 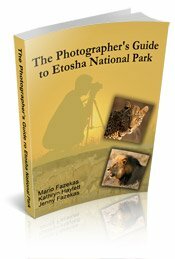 There are a few good makes to choose from, namely Nikon, Canon, Bushnell, Swarovski and Konica Minolta.